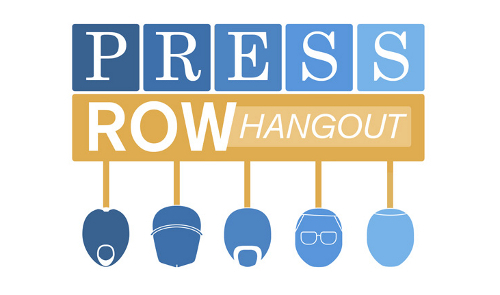 The latest Press Row Hangout was recorded on Friday night and tackled many recent news stories of significance. In one segment from the show the panel raves about the lasting enjoyment of MLB 14: The Show, the next relates to the big ruling yesterday in the Ed O’Bannon v. NCAA case, and the final one runs through a number of topics in a “Lightning Round”. Those include the changes implemented by Twitch, Zynga announcing two mobile sports games, and The Golf Club’s release likely falling on one of the worst potential dates possible. Other featured discussions were on Madden NFL 15’s Connected Franchise mode, and the overall importance of Franchise/Dynasty in sports games now with NBA 2K15 putting effort in to a new variation but NBA Live 15 choosing to focus elsewhere claiming diminished relevancy, with those expected to go up on Monday. Subscribe to Pastapadre on Youtube to catch the shows when live or check out the clips as posted later at your convenience!